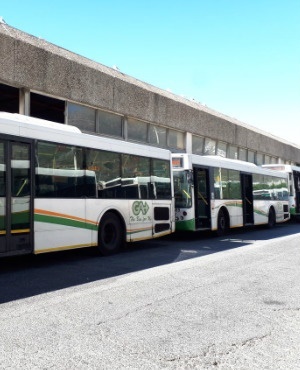 Transport Minister Blade Nzimande and Labour Minister Mildred Oliphant will meet on Thursday with bus operators and unions in another attempt to end the deadlocked pay and conditions talks. The meeting is scheduled to start at the Garden Court Hotel beside Johannesburg’s OR Tambo International Airport at 11:00. Agreement appears to have been reached about a two-year pay deal, although there is still argument about the employer offer of 9% for the first year, followed by 8%. Management has also insisted that any new pay deal should start on May 1, rather than the usual start date of April 1. This is seen by the unions as an attempt to “punish” workers for their fight-back. Union and employer negotiators agreed to call for intervention from Oliphant on Monday to help break the deadlock in the pay and benefit talks. The first meeting took place on Tuesday in Johannesburg. However, the main sticking point relates to when a night shift should start and end and the payment expected. Other issues, such as compensation and conditions for dual drivers on long-distance buses and the insourcing of technical and other labour may be set aside to be dealt with by a task team. The union side reports that they are all “fairly optimistic” that agreement will finally be reached, perhaps as early as Thursday afternoon. Initially, the unions demanded a 12% pay rise while the employers offered 7%.